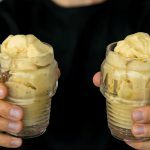 Home / Posts tagged "Ginger"
Banana ice cream is an amazing and healthy alternative to regular ice cream or even vegan ice cream. It’s creamy, sweet, delicious and so easy to make. Consistency-wise it can be pretty close to a regular ice cream if you put it in the freezer after prepping for 20-30 min, If you serve it right away, it has the consistency of a soft serve. Take the bananas out of the freezer and let them defrost for 3 min. Add them to the food processor and blend them up into until smooth. You might need to scrape down the sides couple of times. Add the ginger powder and blend for 10 sec to combine the ice cream with the ginger powder. 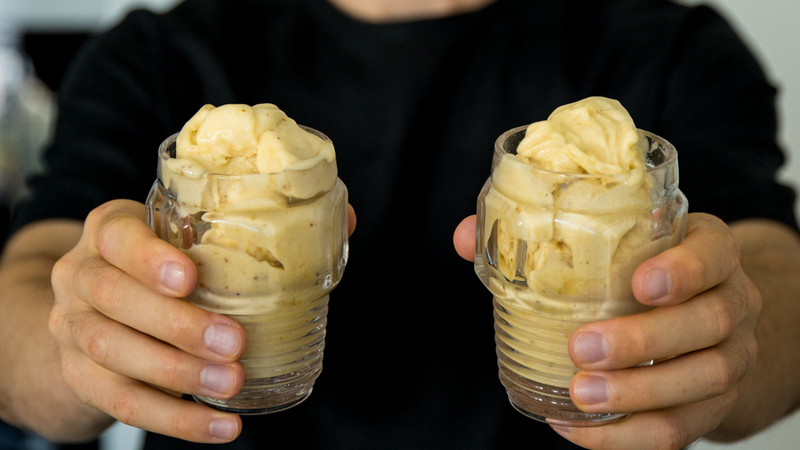 Serve and enjoy your ginger flavored banana ice cream. You can use fresh ginger as well. Peel a small piece and grate it using a sharp fine grate. Back in Teneriffa, I bought a huge bag of organic ginger powder that I needed for a recipe. And I had so much left over ginger that I started adding it to everything. We were eating tons of bananas back in Teneriffa, there was not much other fruit, so eventually, the ginger powder landed in my banana ice cream and I loved it. 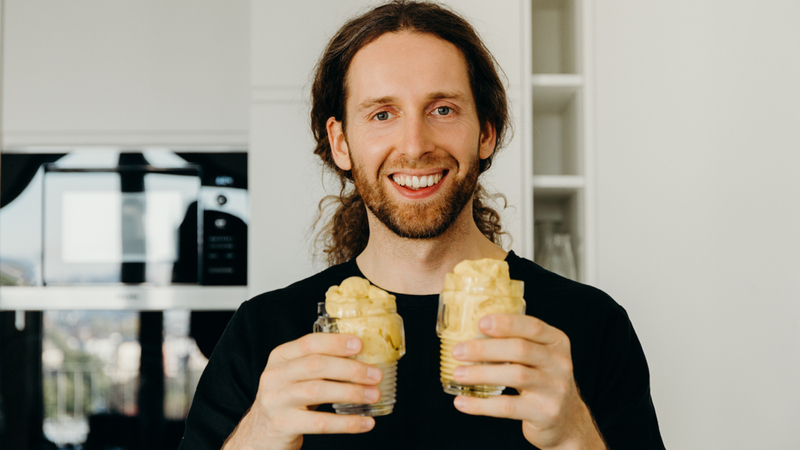 I tried adding ginger to the banana ice cream before, but I always ended up chewing on those wooden strings from the fresh ginger, and yes, I peed it before grating. Also, the flavor was not very blended it, I would have gingery spots and spots with no ginger at all. When I added more ginger to have more of the flavor, the ice cream would come out too spicy, even hot. So my preference is always to use ginger powder, even if I can get my hand on some fresh organic ginger. I tried making nice cream so many ways and I find the food processor method to be the easiest. You can also use your immersion stick to blend up the bananas, therefore us a wide bowl. It works in a powerful blender as well, but the ice cream comes out softer I find.